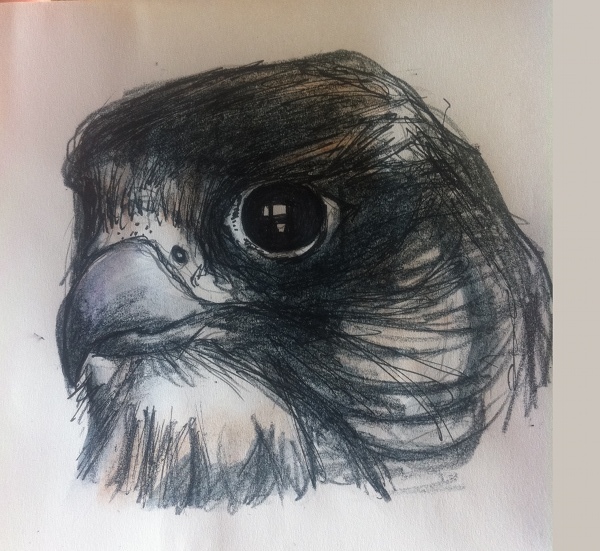 This entry was posted in Sciency stuff and tagged peregrine falcon, peregrine falcon drawing by simonandfinn. Bookmark the permalink. You must have sketched this from the other side of a window, I can see the reflection in its eye – nice touch. Thank you! Drawing the eye was the best part… I couldn’t quite tell if it was a window or a cage being reflected, but a window would be better. Wow, that’s impressive! The piercing eye is quite fierce. Was this from a picture, real life, or memory?